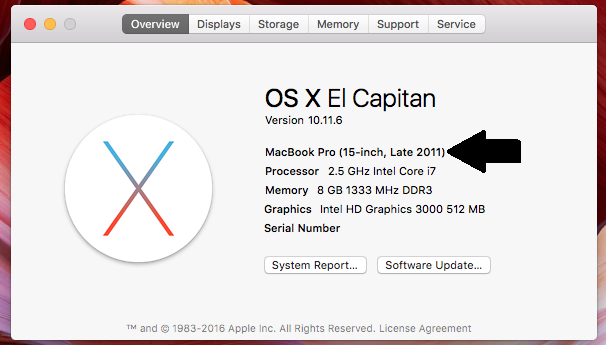 As of tomorrow 9/20, Mac owners will have the option to upgrade to the new macOS Sierra operating system. 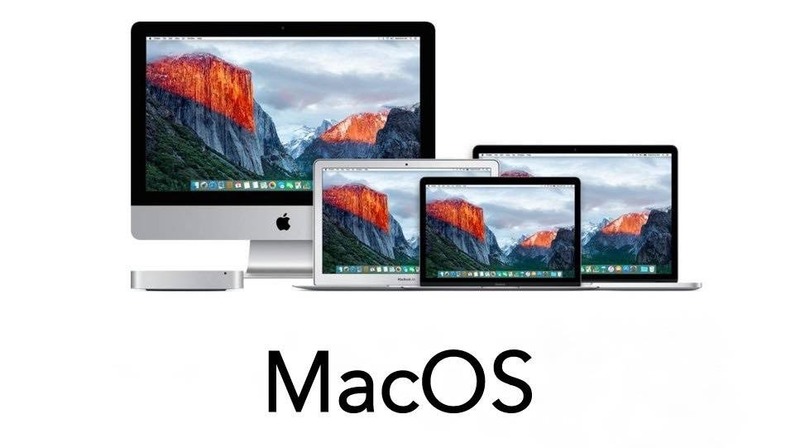 Up to now, the Mac operating system was known as osX, but to get the naming in line with the other Apple product operating system (iOS, watchOS, etc.) this update will also update the name of the operating system. Over the past couple of months, Apple has been testing beta versions of the software with those who like to be on the cutting edge. Those users who volunteered to download and test the beta versions, have seen and reported bugs to Apple. Apple is now ready to release the final product. Here is what we know so far….. 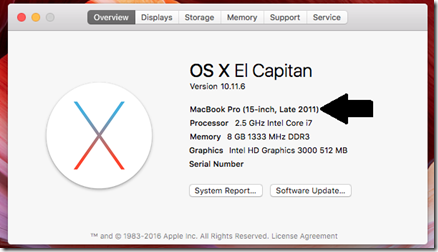 So how do you know when your Mac was released? The simplest way is to click on the Apple logo on the top left corner of the screen, followed by clicking “About This Mac”. In the windows that pops-up you will find the Model (screen size, and year released). If you still are not sure what time corresponds to your time, you can use the Time Zone Converter at TimeandDate.com . All you need to do is set the time to 10am and set the from location to USA – California – San Francisco and the to location to the nearest major city near you. macOS has a number of improvements and changes to the OS. Here are some of the more notable changes…..
Siri comes to Mac. For those with an iPhone, I’m sure you are well versed in using Siri. Now Mac owners will get a change to use Siri, as their personal assistant as well. Memories in Photos. With this change in photos, you will now see photos automatically grouped into events and you can then take the resulting collection and turn it into a short movie that Photos automatically edits and sets to music. Copy on iPhone, Paste on Mac. If you have an iPhone or iPad, you will be able to copy something you are looking at on your device (like a link for example) and paste it on your Mac without having to email it to yourself. Apple Pay while using your Mac. If sites have this option, you will be able to pay for online purchases using Apple pay. The advantage here is the security of NOT having to manually enter your credit card info onto a website and having the added security of using your Touch ID on your iPhone or by double clicking the side button of your Apple watch. These are just some of the new features coming to macOS. As all new toys, the 1st couple of hours after the release, everyone will be trying to get their hand on it. You will probably find it a bit slow to connect and download the update. So waiting to later in the day should help if you are having issues getting it. Apple has been testing beta version for a few months now. They are usually very good and finding and correcting bugs in the software before they release the final product, BUT they are NOT perfect. There is bound to be something that they miss. If you have a work related or critical application on your Mac, you may want to wait a day or 2 to update. Usually if they miss something, you will see it reported within a day or 2. It is suggested you make a time machine backup prior to upgrading. That way if you find it necessary to revert back to osX, it is possible using your time machine backup. There are other ways to revert back but a time machine backup will be the simplest way.